Robert Cain, the Liverpool brewer, died on July 19, 1907, aged 82. He left a personal legacy of over Â£400,000 and a brewing business that was one of the top regional breweries in the country and one of the UKâ€™s top 50 companies of any kind. Cainâ€™s is a remarkable story. He was born in County Cork in 1826 in what he later described as â€œhumble originsâ€ and began brewing in Liverpool around 1848 or 1850. Within a decade he owned a substantial established brewery in Stanhope Street and several pubs. He also ran a small commercial hotel near to the brewery on Stanhope Street. 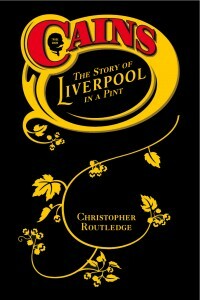 By the 1880s he was able to build one of the most advanced breweries in Britain and had acquired huge personal wealth. He battled with the licensing board and applied his considerable influence to local Tory politics, though he never stood for office himself. He became known as â€œKing of the Toxtethsâ€ and two of his sons became baronets. But while Cainâ€™s is a dramatic rags-to-riches immigrant story, it is also the story of the making of a Victorian gentleman. Cain chose to abandon his explicitly Irish background, moving his business and his family away from the Scotland Road area, and changing his place of birth in official records to â€œLiverpool, Lancashire.â€ He was conspicuously modern, acquiring a telephone as early as the 1890s, and equipping his brewery with the latest technology. But in common with many Victorians of his class he was also a collector of plants and paintings, including those of the â€œLiverpool Rembrandt,â€ William Daniels, whom he entertained as a house guest in the 1870s. His houses, pubs, and the brewery building itself were built in the most fashionable high Victorian Gothic and Art Nouveau styles. This paper will trace the story of Cainâ€™s self-making, both as an entrepreneur and as a Victorian gentleman, from his origins in County Cork and Liverpoolâ€™s Irish slums, to his burial in St Jamesâ€™s cemetery, which was attended by so many people that the police had to close the gates against the crowd. It will also reflect on the extent to which Cainâ€™s personal re-imaging matches the re-imaging of his adopted city in the decades leading up to its 700th anniversary year.